This has become somewhat of an Australian pilgrimage through out the years and after the year 2000 it really took off. While Australian’s have an emotional connection with the place we have seen the numbers of international travelers begin to increase whilst not booming they come for the scenic and cultural value and find themselves immersed in the historic story. Kokoda does not simply begin at Owers Corner and end at Kokoda, in fact the beginning of the campaign was on the northern beaches of Gona, Buna and Sanananda. Starting your Kokoda experience here will allow your body to adapt to the environment but you will also discover the remote villages of Buna their schools, historic Japanese defensive positions and war relics. The people on the north coast (of PNG) seem to be one cog more relaxed in what is a relaxed country. The coast line is untouched and raw much like you would find it 100 years ago, this sort of undeveloped beauty is rare around the world and I’m sure the locals who are screaming out for employment and development will push for this to happen in the coming years. 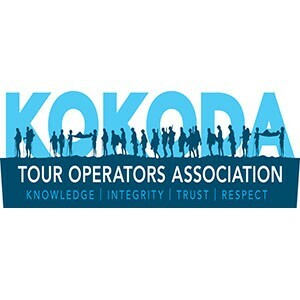 The Kokoda trail has been through it’s times of immense popularity with numbers booming too 6000+ trekkers a year to the current climate of 3000. Much of the decline is due to injuries and fatalities that occurred early on in the industries development stage and shonky operators with no risk mindfulness. Kokoda is not the demon that it is portrayed and every day people complete Kokoda every day, yes that’s your mum’s and dad’s, young and old. Kokoda is doable and such an amazing cultural experience as you travel with a quiet but interactive porter team made up of village locals, you will stop to see local kids playing with a stick and a bit of string tied to a rock. The people living in these local villages seem to have so little but in reality I see them as having so much, so much more than us in materialistic western society. The scenery is spectacular and the views change from day to day and even hour by hour, the higher elevations up around 2000m you step into a Lord of the Rings type environment and much of the foliage mimics New Zealand’s high Alp’s. Scenery, challenge, culture and the sad tales of many solders that toiled here and died make this a 10/10 journey and why I have rated it number one of the world’s best hikes. Many travelers and writers down play Everest Base Camp and say travel to Annapurna it’s much more scenic and less crowded. Less crowded not likely Nepal has become a trekking mecca and flooded with visitors annually (the effects of the earthquake will deter much tourism for some time though) making most of the well-known trails crowded. If you choose your timing right and travel early Autumn (late September) you can avoid most of the crowds and travel almost alone up to Gorakshep and most of the way back before you see the procession of trekkers and yaks making there way up the Khumbu. The Khumbu has so much to offer from the huge suspension bridges below the bustling village of Namche to pointy Ama Dablam and the glacier waters flowing from the ice fall past Dughla. The Sherpa people (meaning east people, from Tibet) impart their Buddhist ways and culture on the valley with their own diversity and change from the Chinese side of the boarder in Tibet. These people seeking refuge in the Khumbu are the most amazingly hard working Nepalese I think I have come across. They are devoutly devoted to their tasks whether that be ferrying 100 kg loads up the valley to aiding trekkers and climbers reaching their dreams. The Sherpa’s and the Nepalese in general are a step above any porter or guide I have traveled or worked with around the globe. Everest’s mystique is what draws you here with the tales of dead climbers littering the mountainous slopes and crevasses still up there, to the touching story of Beck Weathers and the Rob Hall in the 1996 Everest disaster made famous in Jon Krakauer’s “Into Thin Air”. With the sad and multiple deaths in the 2014 and 2015 climbing season’s resulting in the cancelation of climbs will undoubtedly add the aura of Everest. Scenic value, cultural interaction with the Sherpa villages and the mystique of Everest make this a 9/10 trek. Annapurna is another highly amazing trek that Nepal has to offer and you can look at doing variations to the normal route and avoiding the high pass that 40 trekkers and porters perished in a avalanche and storm in 2014. Although the views on the traditional circuit are awesome, the views especially around the Thorong La pass were unbelievably spectacular; huge fields of untouched snow surrounded by mountainous peaks. Annapurna changes each day breathtaking lush green paddy fields to rocky moraine and isolation to dessert. “ It’s simply awesome” described by one trekker. What you will see more of in Annapurna region as opposed to Everest is a variety of terrain, from sub-tropical all the way up to the alpine zone. The local people who inhabit the area really are the friendliest people in the whole of Asia. Culture wins here out of the two Nepal treks, what there is in the Annapurna region is a greater variety of cultural groups (which you may not even notice if you don’t inform yourself about the differences!). These groups intermingle well something that Nepal is famous for the diverse cultures that live together harmoniously. Scenic value, the diversity of cultures and interaction with the local villages make this an 8.5/10 trek. Two theories exist that I know around the meaning of the word Kilimanjaro is that the name is a mix of the Swahili word Kilima, meaning “mountain,” and the KiChagga word Njaro, loosely can be translated as “whiteness”, the whiteness of the frozen glaciers visable on the top of Kilimanjaro on a clear day. Another theory is that Kilimanjaro is the European pronunciation of a KiChagga phrase meaning “we failed to climb it”, and many have failed to do this. “Kili” as it is effectionly known by the locals is Africa’s highest freestanding mountain at 5895m high. Seeing snow and a glacier that close to the equator is quite remarkable and one of the worlds truly amazing sights. Trekking Kilimanjaro has become hazardous over the years as many cheap local operators going for the quick cash grab of the 5 and 6 day hut walks, while these are remarkably cheap (park fees are charge by the day and make up over 50% of the trek costs so less days makes a cheap trek) the success rates are 30% or less chance of making the summit and you face the real dangers of HACE or HAPE (High Altitude Cerebral and Pulmonary Edema that are not only life threatening but can result in permanent disabilities in milder cases). The risk aside Kilimanjaro is worth it, the landscapes are so vivid and variable you will be constantly amazed. The mountain can be quite commonly covered in cloud cover as the frigid winds blow the moist air over the top of the mountain. A lower level of cloud cover seems to blanket the base area of the mountain but after day one or two you step above this and seem to be walking on the top of clouds. Combine the trip with pre and post African tribal culture tours and the compulsory safari while in Africa and you have a world-class walk and tour. Scenic value, the diversity of cultures and interaction with the local tribes pre trip make this an 8/10 trek. Mount Wilhelm is the highest Mountain in Papua New Guinea at 4,508 metres (14,793 ft). It is a beautiful and the most accessible mountain to climb in Papua New Guinea. With a number of routes to the top, by far the most popular is an moderately difficult climb, depending on fitness, from the village of Kelsugl in the Chimbu province. Trekkers fly from Port Moresby to Goroka is the capital of the Eastern Highlands Province of Papua New Guinea. It is a town of approximately 19,000 people (2000), 1600m above sea level. It has an airport (in the Centre of town) and is on the “Highlands Highway”, about 285 km from Lae in Morobe province and 90 km from the nearby town of Kainantu also in the Eastern Highlands. 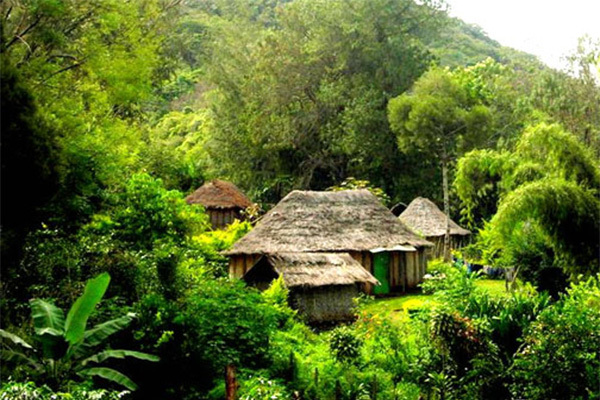 Other nearby towns include Kundiawa in Simbu Province and Mount Hagen in Western Highlands Province. It has a mild climate, known as a “perpetual Spring”. Our stay in Goroka takes in the performance of the world famous mud men and their ritual dance. The Mud men are located in Asaro village where we spend our first nights stay. From Asaro village we travel to Kelsugl, where they spend the night. Escape Trekking Adventures choose to take the accent over a few days to allow trekkers the time to adjust to the altitude and appreciate the surrounds including village stays pre and post trek. The Keglsugl route involves climbing up and through a mountain rain forest and then along an alpine grassland glacial valley to the twin lakes of Piunde and Aunde (male and female name). This takes from between three to four hours with 4 stops on the way. At Piunde (the lower lake) there are two huts, one being an old university monitoring station and the other an ‘A-Frame’ hut. Though not a technical climb, once past Lake Aunde (the uppermost lake, which feeds Piunde), there are at least four sections where sure footing is essential; in wet weather various sections can be treacherous. It is essential that an afternoon trek to the top lake is taken to help the body adjust to the altitude. These are beautiful lakes where brown trout once lived, but it appears too cold for even them to survive and none have been seen for many years. The climb to the top is usually undertaken in pre-dawn, starting around 1:00am and trekking out shortly afterwards, to appreciate all that Mt Wilhelm can boast. Trekkers have the best opportunity to see the panoramic view north before the weather sets in, and brings cloud cover. Trekkers are briefed of the need to be protected with adequate cold wet weather clothing as the weather can get very cold and can turn fairly quickly. The type of cold weather gear required for this trip is similar to what is taken to Mt Kilimanjaro. Scenic value, the remote of cultures of the highlands and interaction with the local tribes and dancers make this an 7.9/10 trek.